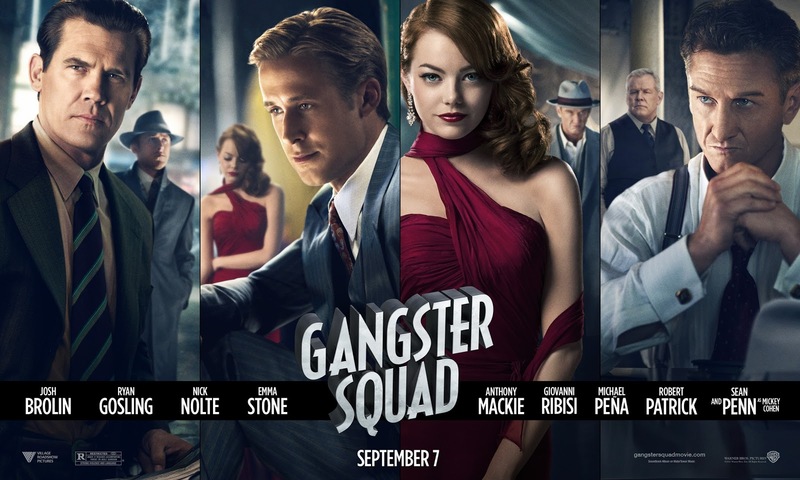 Ryan Gosling, Josh Brolin, Anthony Mackie, Michael Pena, Sean Penn and Emma Stone star in Gangster Squad, a film that looks to reinvigorate the crime gangster genre that seems to be debilitated of late. 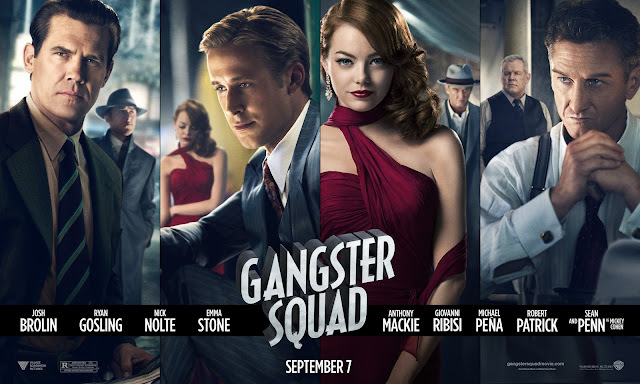 No while Gangster Squad is certainly one heck of an entertaining ride, it’s by no-way a classic. The film chronicles the LAPD's fight to keep East Coast Mafia types out of Los Angeles in the 1940s and 50s as six police officers and detectives must protect the law by breaking it, taking on Mickey Cohen and his gang. Ruben Fleischer, marks his third feature length film to date, as he previously worked on the placid horror/comedy film, Zombieland, and the less then stellar 30 Minutes or Less, directs the film. Fleischer has managed to put together quite the amazing cast, with Josh Brolin, Ryan Gosling, Michael Pena, Nick Nolte, Giovanni Ribsi, Robert Patrick, Emma Stone and Sean Penn who plays our big bad mobster, Mickey Cohen in the flick, all starring. 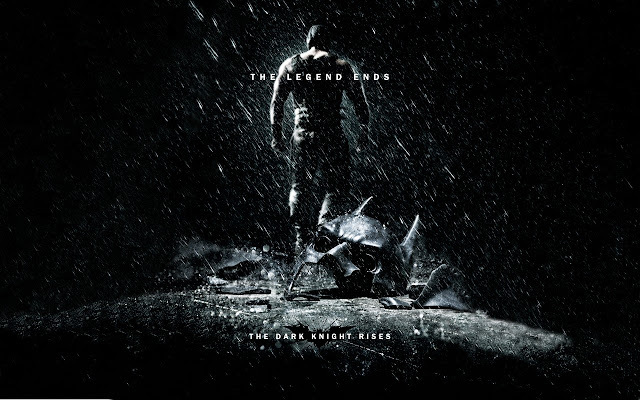 The film is in an incredible position with its high profile cast as well as some excellent cinematography, however the film suffers due to jagged pacing as well as under developed characters. 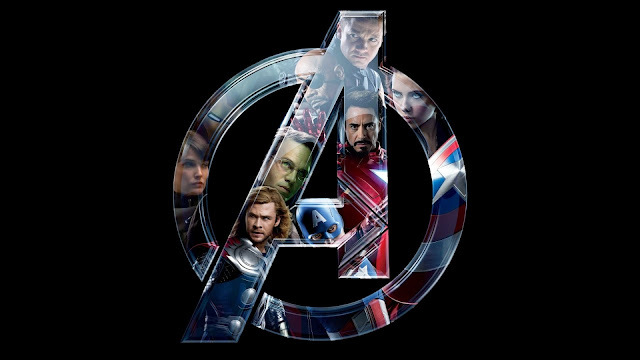 The film plays out in less than two hours, yet there are characters that were so thinly written there really wasn’t much that these actors could do to emotionally invest the audience into the story or their characters for that matter. When it comes to action, the film pulled out all the stops. Giving us highly intense car chases, a montage of the team causing serious damage wherever they go and incredible shoot-outs and fist fights. This is really where the film shines through with some incredible action scenes, but its softer moments that got the short end of the stick. When the film has to sink into its softer moments, instead of allowing the emotion to bubble over, it would seem that Fleischer, decidedly chose to get through these moments as quick as possible to get back to explosions, blood and bullets. 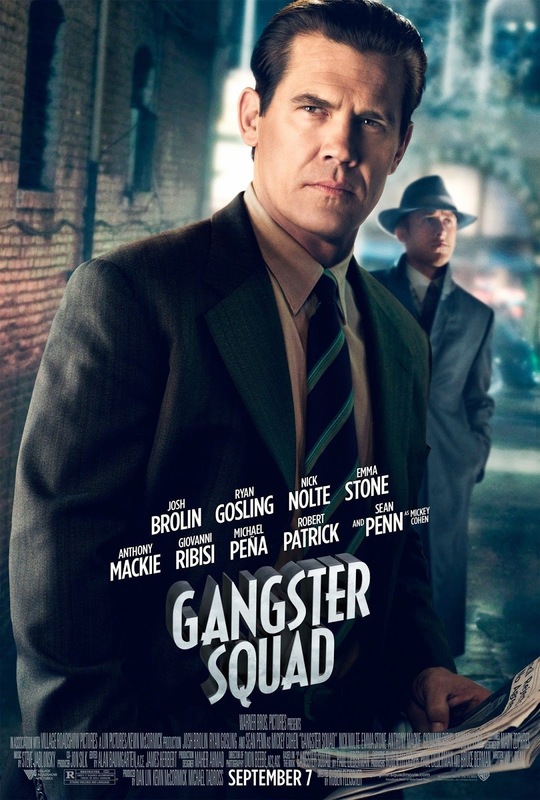 Much of the film is focused on Josh Brolin and Ryan Gosling who plays Sgt. John O’Mara and Sgt. Jerry Wonders, respectively. The majority of the film is focused on these two guys, and their tumultuous relationship. They really are the heart of the film, as they both showcase why they are such great actors. 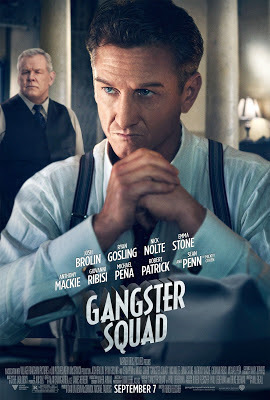 Everybody in the cast is quite fantastic however as the film focuses on Gosling, Brolin and Sean Penn who does quite the good job of playing a badass mobster, everyone else seem to have been an after thought. The rest of the cast however, doesn’t serve any other purpose than just filling up the space that isn’t occupied by Gosling or Brolin. Mackie, Stone, Pena, Ribsi and Nolte all play their roles magnificently yet, their characters feel empty. Its clear as day that there wasn’t much thought put into these other characters as they never given much time to give us a reason to care for them, never mind like them. I think that's what disappointed me the most about the film, as I expected to see a story about a "Squad". Instead most of the day-player parts in the film could have been filled with unknown actors and it wouldn't have made a difference in the overall proceedings of the film. 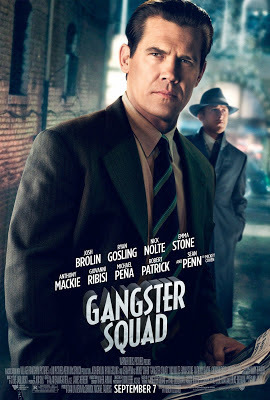 While Gangster Squad tries to re-invigorate mob stories of the 40’s and 50’s, by giving us this shiny polished film, it certainly won’t do much to help the crime-Gangster genre. 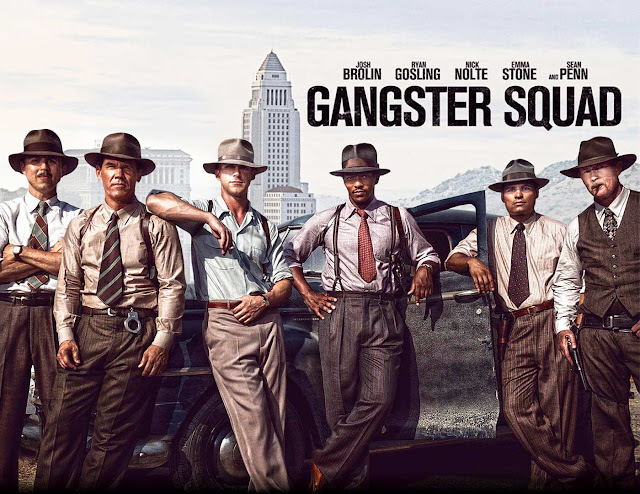 Gangster Squad loses some of its substance as the film goes along, as its all about its style, charm, swarve-ness and cool bravado, but it lost the plot as to why films like The God Father and The Untouchables are the classics that they are. With that being said, even though Gangster Squad is not even close to being an immediate classic, its still an enjoyable ride and a film that will keep you entertained.